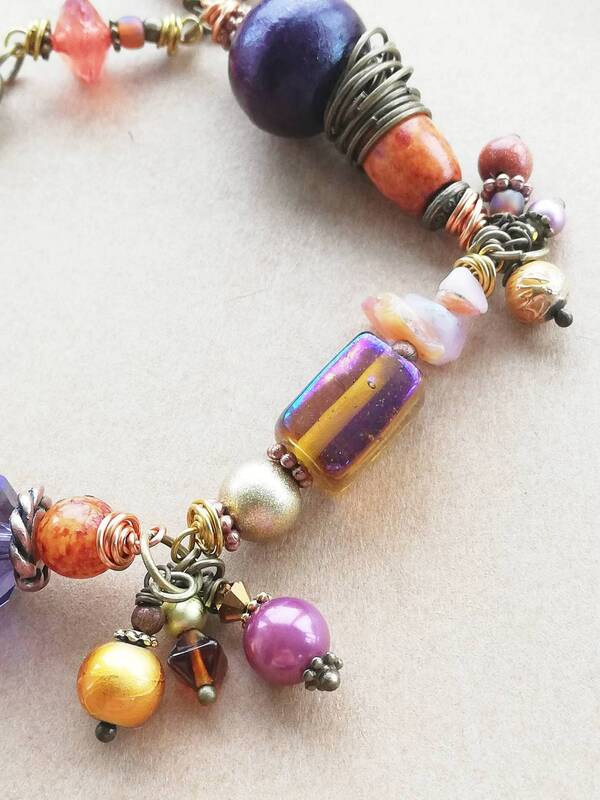 I’m currently working on a new collection of chunky beaded bracelets. 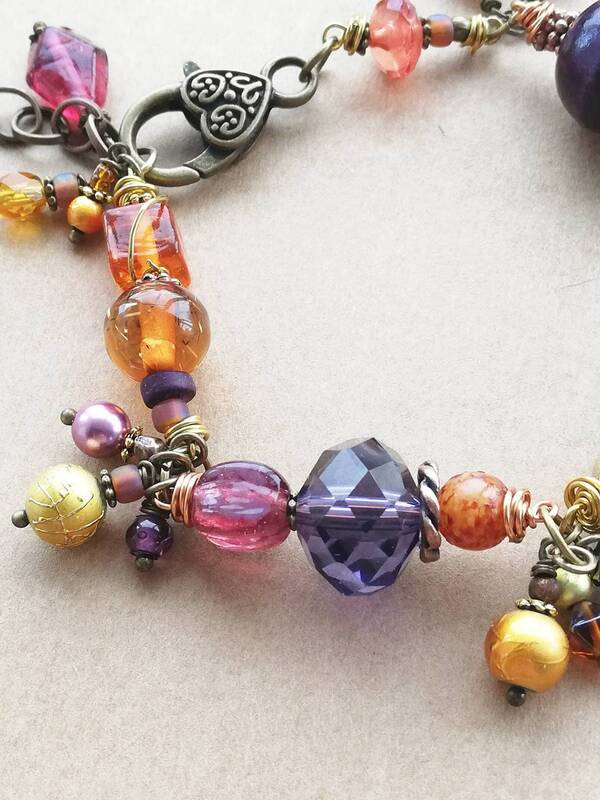 I’m using a big variety of gemstones and beads and having lots of fun combining colours and shapes. 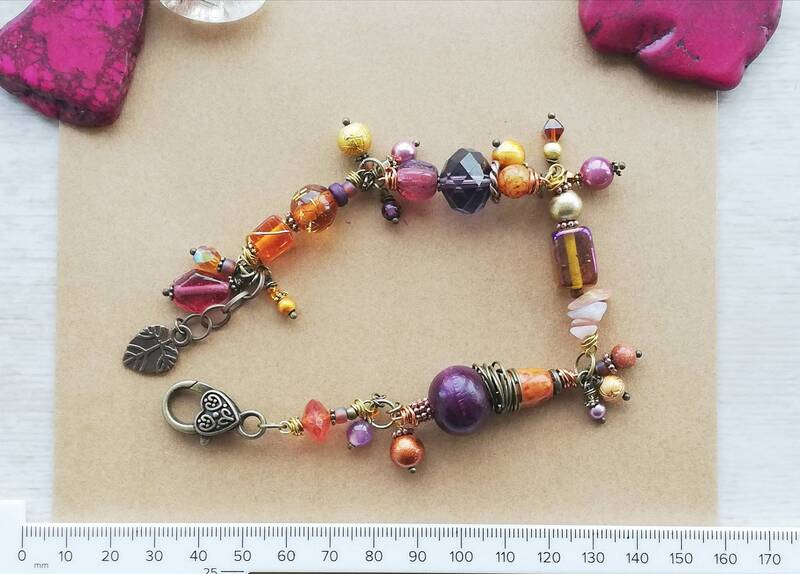 This bracelet has a colour palate of tutti fruity tones including purple, gold, burnt orange, yellow and pink. The bracelet is an adjustable fit so it can be worn loose or tighter as preferred, with the length being 21 cm - 24cm (excluding clasp). 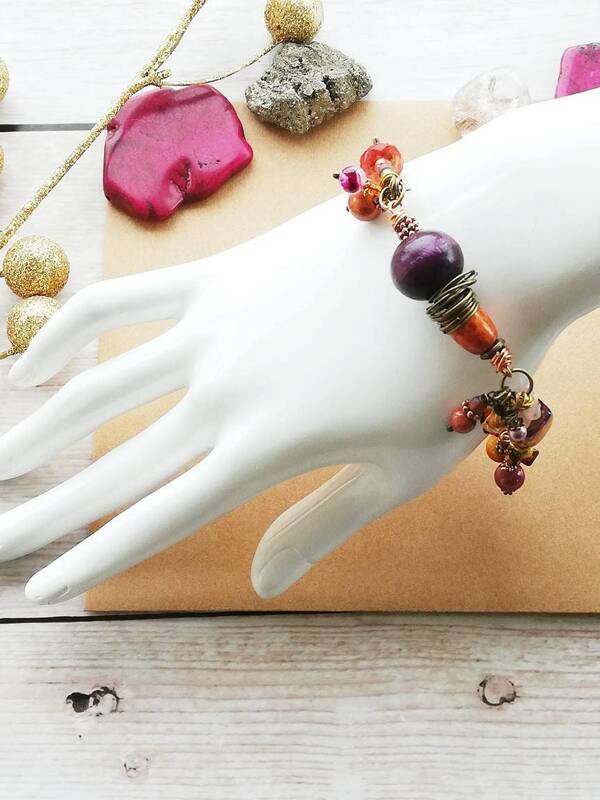 It closes with a large 2.5cm decorative lobster clasp. At the thickest point the width is approx. 2cm. 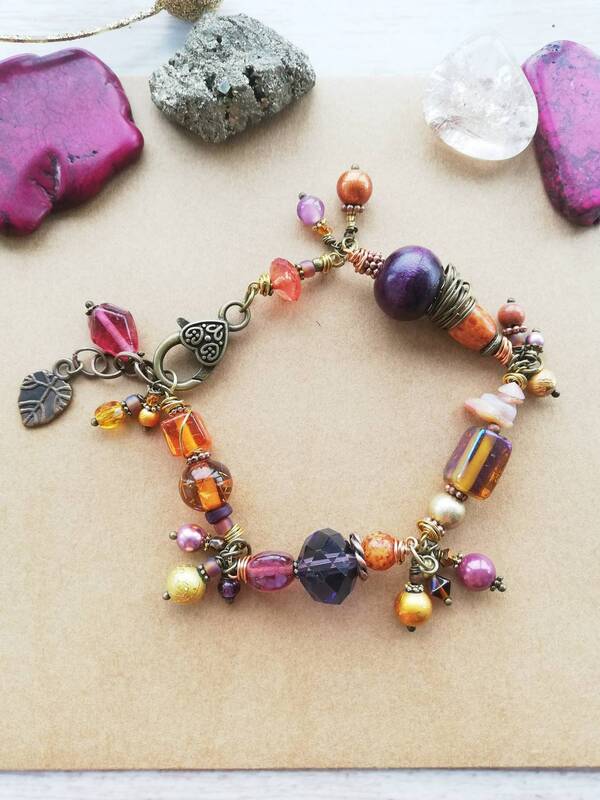 The bracelet is made from 5 separate beaded sections, each with a small collection of beads, with a couplet of charms at each link. The gemstone includes semi-precious calcite pink gemstone chips. 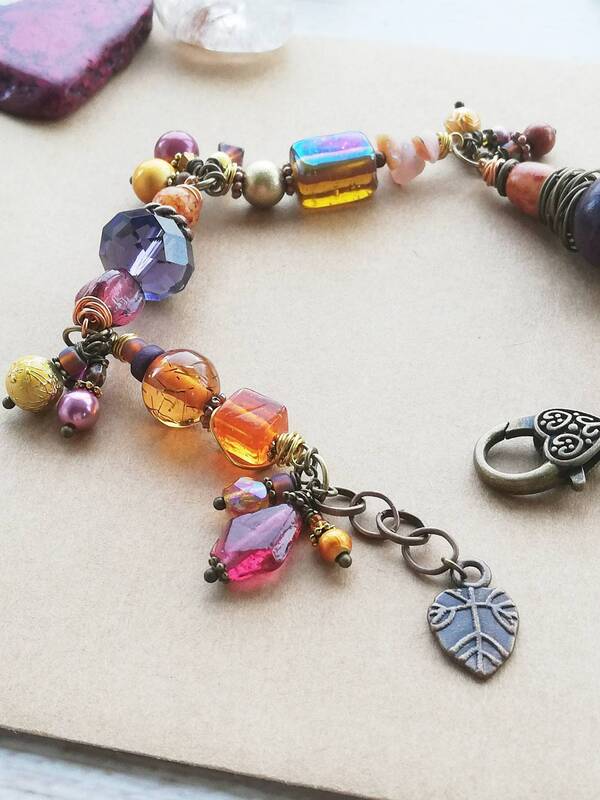 There are also vintage and contemporary Czech pressed glass beads and copper charms including a textured leaf pendant. 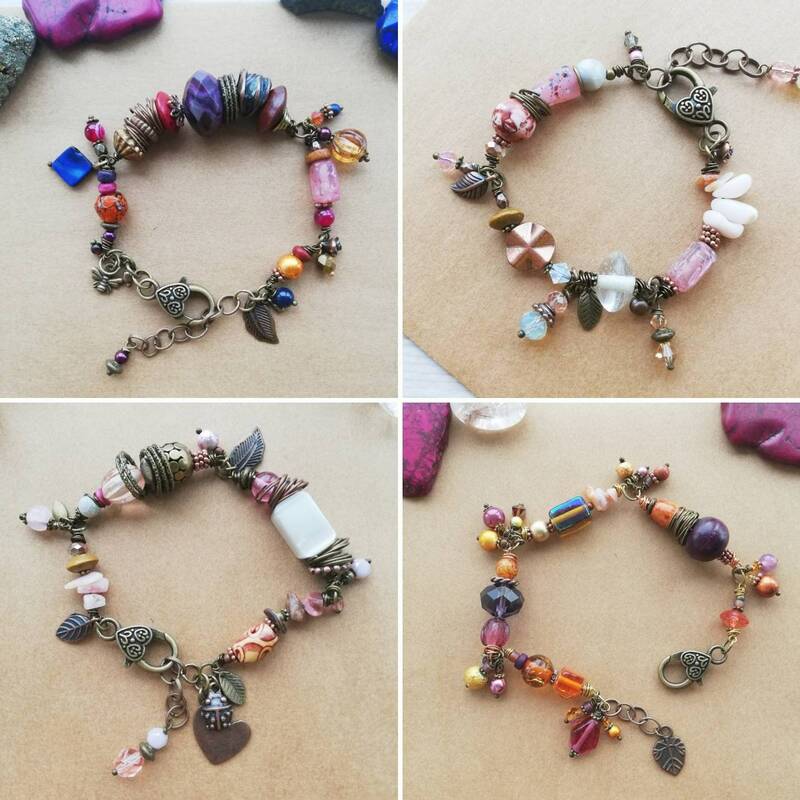 The length of the bracelet also contains a mixture of vintage focal and spacer beads including: coloured wood beads, vintage lampwork glass beads and decorative brass beads. 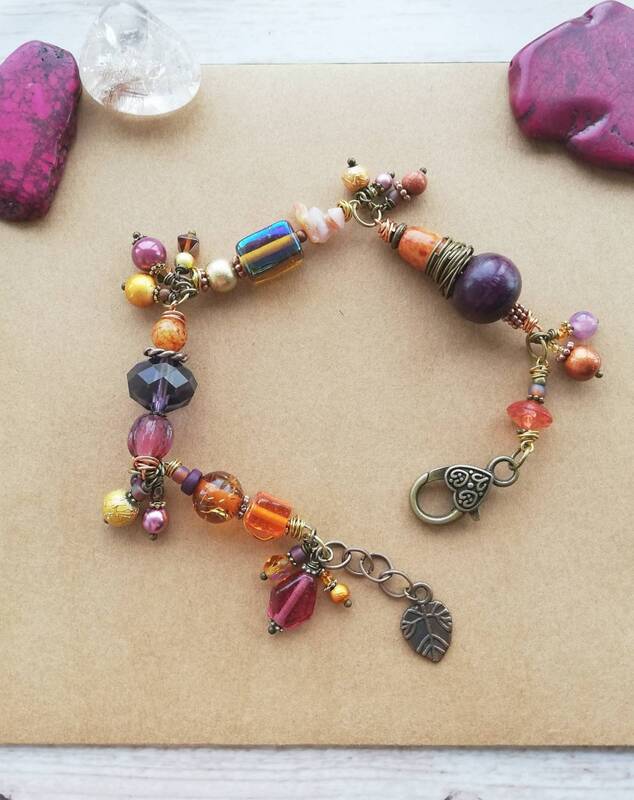 My intention with this collection was to create really eclectic bohemian looking bracelets with an artisan mix of the interesting beads and semi-precious gemstones I’ve assembled over the years. 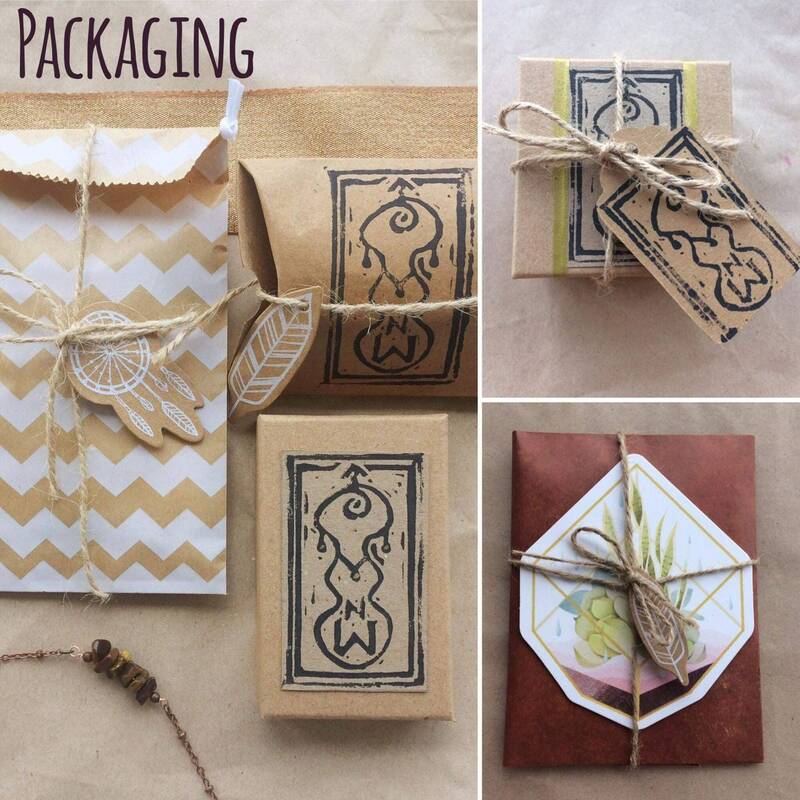 This is of course a one of a kind handmade item and therefore a really special piece of statement jewellery. I am happy to make accompanying pieces if possible, such as earrings/necklace, so please get in touch if you are interested in this.